This is a city with a rich and lengthy sporting heritage. Manchester is famous all over the globe for being the home of no less than two football clubs of a Premier League standard, which often causes some confusion. The rather affluent Manchester United FC (often known as Man Utd) is based at the historic Old Trafford football stadium on Sir Matt Busby Way - opened in 1910 and able to seat more than 75,000 spectators. The city's other renowned soccer team is the Manchester City FC, which calls the City of Manchester Stadium (Etihad Stadium) its home ground. This stadium was built almost a century after Old Trafford, being completed in 2002 (at the cost of more than £110 million) and boasting an overall capacity of almost 48,000. Cricket provides a further seasonal spectator sport, being based at both the Old Trafford Cricket Ground and at the nearby Cheadle Hulme Cricket Club on Grove Lane, Stockport, the latter of which resides some 20 minutes to the south and is also called home by the city's very own rugby union team. The Cheadle Hulme Recreation Centre also warrants a mention, with its swimming pools, squash courts and fitness centre, while neighbouring Ryecroft Park offers bowling and tennis courts. In the city itself, you can play a game of tennis at the resident Sportcity complex. For summer athletics, the modern Manchester Regional Arena is the place to come. The arena was opened in 2002 for the Commonwealth Games of that year and is home to the Amateur Athletic Association of England. Nicknamed the 'Red Devils' and founded in 1878, the Manchester United Football Club certainly ranks amongst the world's most famous and most wealthy soccer clubs, and the players are treated as major celebrities. Some of the club's most famous players have included David Beckham and Mark Owen. 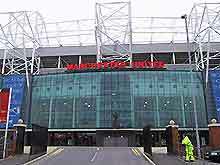 The club plays regular matches at the Old Trafford stadium and behind-the-scenes guided tours of the stadium are available. Tickets for any of the home games are hard to come by and should always be booked in advance. The Manchester City Football Club (FC) is the city's best-supported local soccer club, being established in 1880 and often also referred to as the 'Sky Blues'. However, this club does not currently enjoy the same success as its rival, Man United (Man U). The prestigious City of Manchester Stadium, which was built for the Commonwealth Games of 2002, has become the home ground of Man City FC and the team plays regular matches here during the main football season (between August and April). The Manchester Rugby Club dates from the 1860s and is now one of the world's most historic rugby union clubs. This team is based at Cheadle Hulme, within the borough of Stockport, and is roughly 12 km / 7 miles to the south-east of the city. The Lancashire County Cricket Club is the most popular and beloved cricket club in England, although it has not actually won any major championships for many years. Founded in the 1860s, the club plays many cricket matches during the summer at the Old Trafford ground. Manchester's famous cricket match is the 'Roses', where the Lancashire County Cricket Club competes against Yorkshire. International test matches are also played at this ground periodically.